It is important for players, parents, coaches and volunteers to understand the rules of lacrosse. The United States Lacrosse Association (USL) Boys/Girls Lacrosse Rule Books shall govern the US Lacrosse boys and girls youth play. To obtain a copy of the Youth Rules & Best Practices Guidebook, click on the links below. 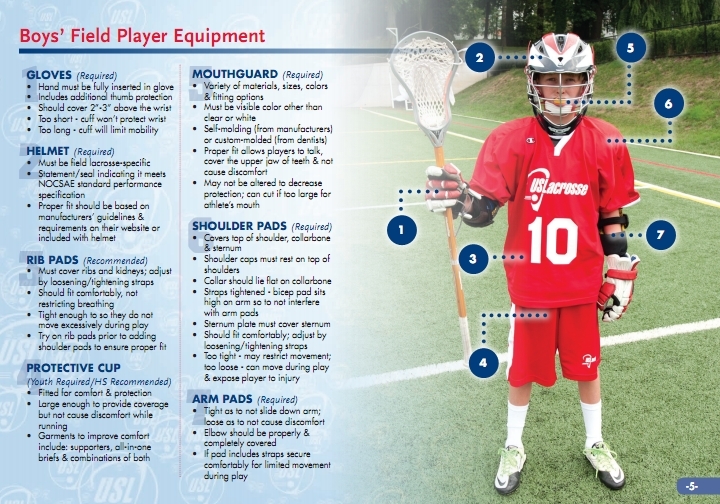 Equipment Fitting Guide by US Lacrosse. This is a great guide for first time buyers needing help with equipment.